We're celebrating Vulture Week because this Saturday, September 6th, marks International Vulture Awareness Day (IVAD). This commemorative day has been celebrated since at least 2009 and aims to highlight the importance of vultures and vulture conservation through education. The Andean Condor is one of two types of condor, along with the California Condor. Both of these fall under the family Cathartidae, or New World Vulture. The Andean Condor is one of the world's largest flying birds, with a wingspan that may measure over 10 feet across. 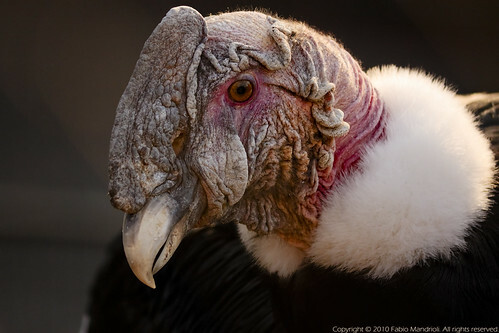 Among vultures found in the Americas, the Andean Condor is the only species to show sexual dimorphism. This means that males and females have a different appearance. 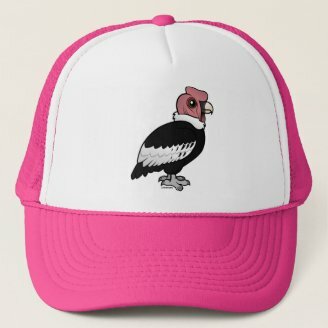 Mature male Andean Condors have a large fleshy comb resting atop the head, which is reddish. Adult females have dark, uncombed heads. In most birds of prey, females are larger than males, but the Andean Condor defies this rule; males are larger than females. Like most other vulture species, the Andean Condor feeds primarily on carrion. They may travel 100 miles or more in a day in search of food, which includes the carcasses of large mammals like llamas, deer, cattle, and boar. 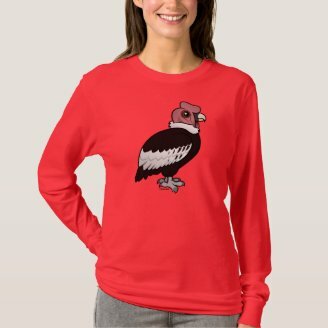 Andean Condors are excellent at soaring using rising columns of hot air called thermals. Andean Condors can be found along the western mountain ranges of South America, including the Andes and the Santa Marta Mountains. 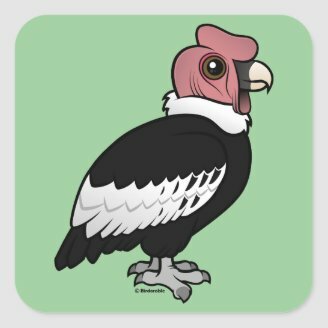 Their range overlaps with other New World vulture species, and they may follow Turkey Vultures, Lesser Yellow-headed and Greater Yellow-headed Vultures to carcasses. 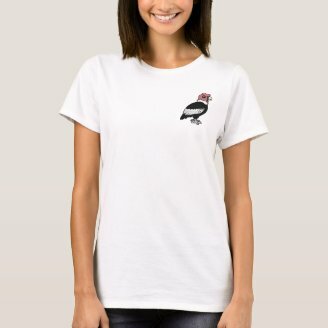 The Andean Condor is a national symbol for several South American countries, including Bolivia, where it is the official national bird. 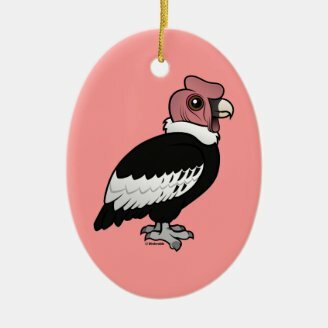 Condors were revered in Andean mythology and is sometimes considered to be a symbol of power and health. 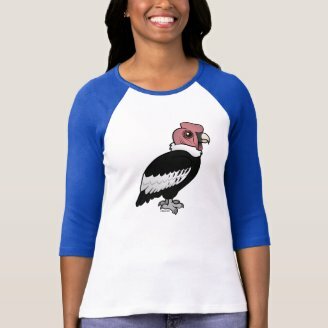 Andean Condors mate for life. They reach full maturity after five or six years and may live to be 50 years old or more in the wild; a captive condor lived to be at least 72 years of age. Pairs typically raise one chick every other year. 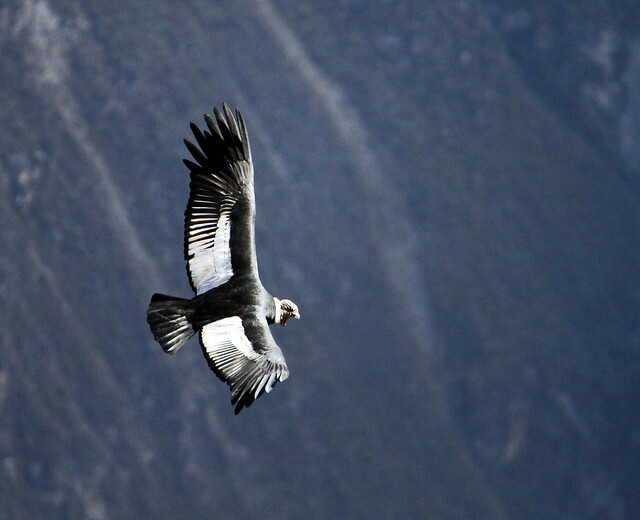 The population trend for the Andean Condor is decreasing, and the IUCN Red List considers the species to be Near Threatened. They face challenges from habitat loss, secondary poisoning, persecution, and other man-made threats. The California Condor has been selected as Audubon California's Bird of the Year for 2011. The endangered species won the title after receiving nearly 35% of the almost 10,000 votes cast in the annual election. The condor beat out the Black Oystercatcher, Western Snowy Plover, Sandhill Crane, and three other species. The California Condor is a critically endangered species that was down to just 22 wild birds in the late 1980's. These birds were captured and bred as part of a captive breeding program that continues to see limited but steady success. 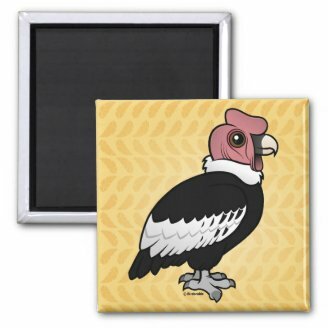 Today there are over 180 California Condors living in the wild. 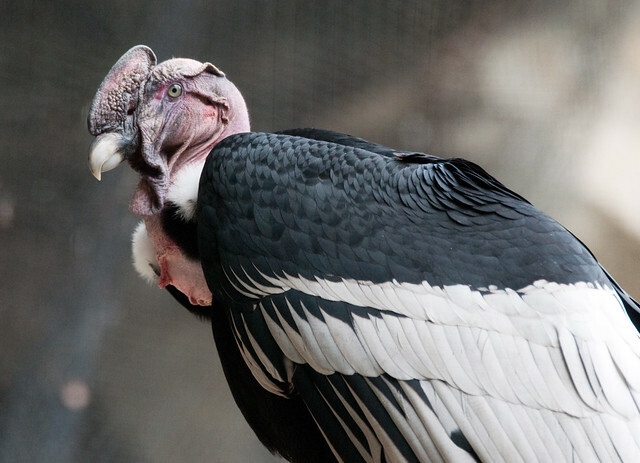 One totally unnecessary threat still facing California Condors is lead poisoning. If hunters would universally adopt lead-free ammunition, the U.S. Fish and Wildlife Service says that the California Condor recovery program "would [be] wildly successful." Unfortunately, lead-riddled carcasses limit the species' rebound. The California Condor's reign at Audubon California Bird of the Year 2011 highlights the plight of these special birds. This video from the Ventana Wildlife Society gives an update on the 2009 nesting season for the endangered California Condors they monitor. You can help the society by volunteering to help clean up the condor habitat or by making a donation. 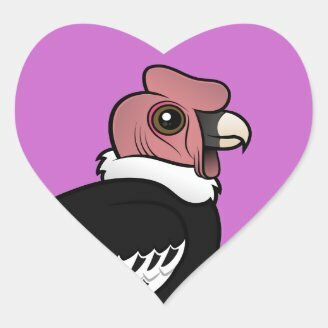 A portion of proceeds from some of our own Birdorable California Condor sales will also be donated to the Ventana Wildlife Society.